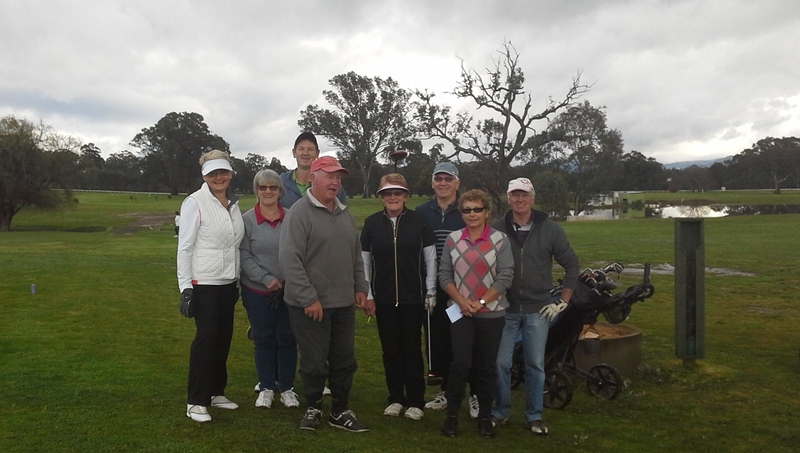 Twenty eight players (14 Men and 14 Ladies) took part in today’s Mixed Ambrose event to raise funds for the Cancer Council of Victoria. Despite the dismal forecast and the 8-10mm of rain overnight the course was yet again in great shape, largely due to the efforts of the 13 men who turned up for the weekly Tuesday Working Bee. Twelve teams hit off on an 18 hole competition with two teams arriving later to compete on a 9 hole comp. Brendan Chenhall and Miranda Gill (67.5) took out the 18 hole comp from runners up, Gary Pollard and Vicky Butler (68.5) with Barb Fisher and Merrin Tulloch winning the 9 hole event. Everyone enjoyed the 19th hole and the fabulous lunch ….so typical of why Yea Golf Club enjoys its reputation as a true ‘Country’ Club. With tables filling fast for the Yum Cha Dinner at the club rooms on 10 September be sure to book this week. Dr. John Ingram (retired) here from Chumleigh Golf club (we also are a country club) here in sunny Devon in England. 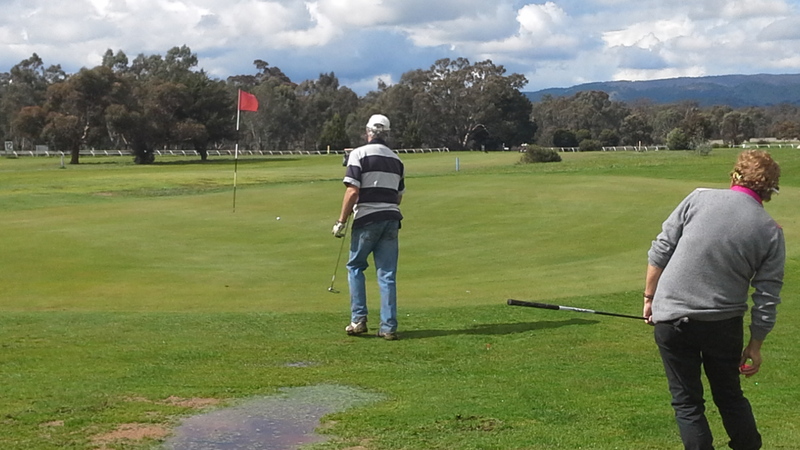 We will be in Yea visiting friends in Feb for a week and wondered if any of your members would like a round, my wife and I are new to golf here in the UK, my handicap is 18 🙁 and my wife, Kay, who is from Yorkshire says I’m her handicap 🙂 but we are very keen to improve our golf……..we would like to hear from any member that would like to host a visitor for a round….especially any women members who could have a round with Kay, of course the invitation goes the other way if any of you are ever in Devon. Hi John & Kay, its good to hear from you. Yes, we would love to meet and have you join our Members when you visit Yea next Feb. You can even join in a round or two of our Summer Gender Challenge which is played on Wednesday mornings with hit off at 8am to avoid the heat, or join in the Saturday comp as well. I’m sure that everyone will make you most welcome. We look forward to meeting you both.